Yet again Hammer just missed out on a victory! An exciting and bloodthirsty match was the order of the evening, with no quarter given from either team. The team was out graded from boards 1 to 9 but that didn’t faze us. Honours of the evening go to two new members, Orial and Matteo. Orial playing board 8 and beating an opponent rated 144 in a complex game in grand style. 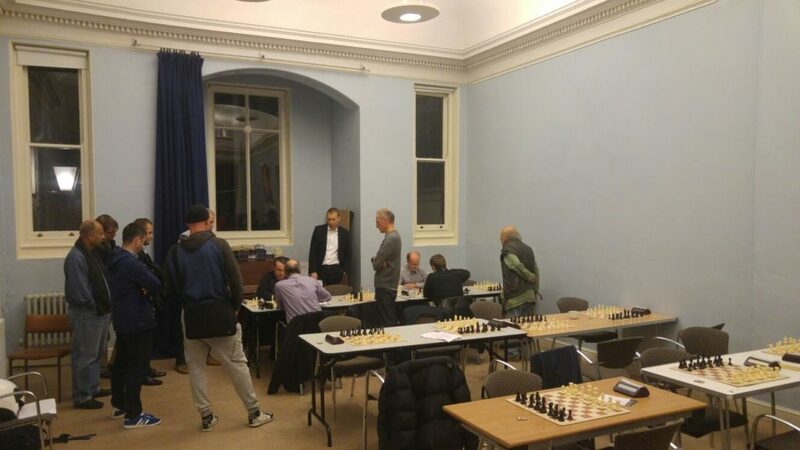 Matteo triumphed against former Hammersmith Club Chairman Peter Morton! Both great victories and a great start to their London League careers. Our wily Chairman Bajrush won in a blitz finish in a theoretical drawn endgame. But as we all know when it comes to blitz there is only ever one winner!! It was great to welcome back Paul and Jeremy for their first games of the season. A tough loss for Paul and a draw that was probably a missed win for Jeremy. John Goodacre and Safi also drew – the former has had a solid start to the season and the latter rebounded from a tough loss against Cavendish. Finally to the other three boards – Sheikh had an amazing Sicilian Shozin game with water – the board was on fire with multiple tactics everywhere for both sides – unfortunately the fire consumed Sheikh and not his opponent. 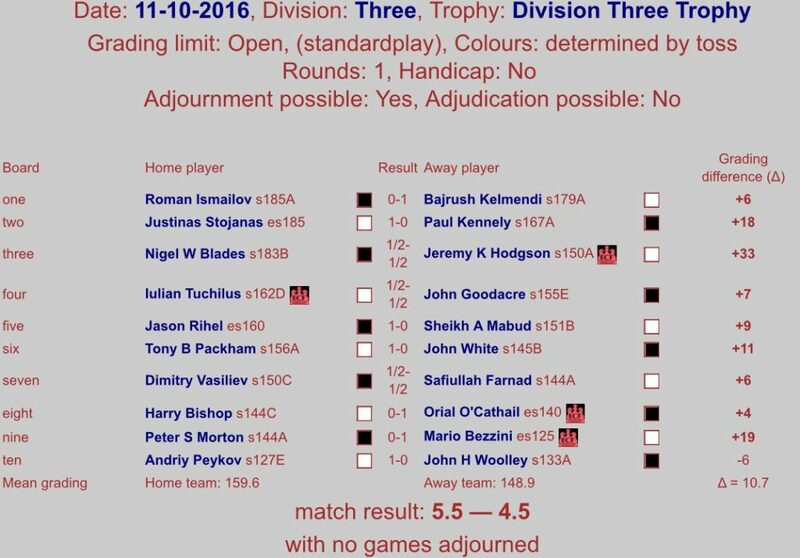 John Wooley went down against the captain of GLCC, who was a lot stronger than his 127 grade might suggest – just bad luck. Finally my good self got ground down on the black side of a Colle/Sicilian – not pleasant viewing I’m afraid! Positives – we have discovered a couple of diamonds and Bajrush looks like getting back to his best form. Plus if John Goodacre, Safi, Paul, Sheikh and myself can get a win on the board then anything can – and will – happen. Keep the Faith! Go Hammer 1!! Great evening’s chess, gents. Pleasure to share a pint with so many of the Hammersmith lads afterwards.